OPD is the abbreviation for Out Patient Department. OPD caters to the needs of those patients who need to consult a doctor as part of an ongoing treatment or some sudden emergency. Patients come to the hospital, get over with their consultation and then leave. Emergency Room/Accident & Emergency, and Ambulatory Care Services are also considered part of the OPD. IPD, on the other hand is In Patient Department and caters to the needs of those patients who are admitted into the hospital. These patients are admitted on the recommendation of doctors from the Emergency Services, Ambulatory Care, and Clinical/Specialty Outpatient Departments due to their present medical condition warranting a longer and closer look and treatment. Patients in IPD would be the ones who need a higher level of care and intensity of treatment, such as surgery, intensive medical, surgical or infection management, special observation and/or isolation, sustained therapy, or extensive testing. Normal “lying-in” wards, intensive care, step down care, delivery suites, operating rooms/theatres, cater to the needs of the admitted inpatients and are all a part of IPD. When a doctor advises a patient consulting him in OPD to get admitted as an in-patient, there are a multitude of factors, the non-clinical influences that determine whether or not he would choose your hospital as his choice for IPD. As per a recent study by Emory University, USA, among other factors, advertising was a key determinant in influencing the patient’s choice of hospital for IPD. The report states that “Patients are positively influenced by hospital advertising; seeing an advertisement for a given hospital makes a patient more likely to select that hospital”. Advertising is just one of the tools that comes into the whole umbrella of things that a brand uses to communicate itself to its target audience. If just one aspect of it can impact patients’ choice of hospital for IPD, you can well imagine what a great decision impacting factor, branding as a whole, could turn out to be. So let’s take a look at how branding can improve your OPD to IPD conversions. Inpatients are likely to consider several different hospitals for their procedures and are certainly going to be influenced by the name of the hospital that they have heard of the most. And how would they have heard of a particular hospital? Only if a hospital has taken care to project itself as a brand with certain key characteristics as its brand value. The best way to attain competitive advantage is through the concept of brand equity. Brand equity is a set of assets linked to a brand. These include brand loyalty, brand association, perceived quality and brand awareness. How does branding up your brand equity which in turn will influence a patient’s choice of hospital for his in patient needs? Branding your hospital enables you to be high on brand recall and on the top of the mind of the patients. What does this mean? Recalling a brand when a name is presented, is brand recall. For example the patient knows the name of your hospital, when it is presented to him. TOMA would mean consumers mention a specific brand name at the first place when asked about a type of product or service. When your hospital as a brand is part of a patient’s evoked recall or is considered during the evaluation for IPD, then it is branding which has led him till there. It’s quite possible for habitual purchasing to lead to TOMA for any product but IPD services is not a habitual purchase service. Various factors such as length of stay, quality of a specialist, facilities etc have made decision making for IPD very complicated and that brief OPD visit may not really be enough to influence an IPD patient’s preference. This is where branding steps in. Branding creates TOMA and TOMA is equated to Brand Preference too often. Consumers with higher TOMA level towards a brand showed a stronger Brand Preference towards that brand. Naturally if your hospital is ehat comes to mind first, your patient would certainly have a proclivity to your IPD facilities as well. Brand equity in simple words is the value that the brand endows to a product or service. When you brand your hospital, your services are probably more or less similar to the other hospitals of your size and offering healthcare similar to yours. Then why does an IPD patient prefer coming to you vis-à-vis another hospital. Simple. It’s because when you brand yourself, you communicate some special aspects of yourself as an entity when the brand is more of a personality than a mere doctors and medical care centre. And that is what builds value around the name of your hospital. Brand equity is what will be the one creating a differential effect. Brand equity will impact the response of the patient in choosing a hospital for his IPD needs. As per research, brand equity management is going to be the main determinant of competitive advantage in the healthcare industry. Mere implementation of an advertising campaign is not successful branding because as per another research, only 26% of the people choose advertising as their means to brand awareness of a particular hospital. 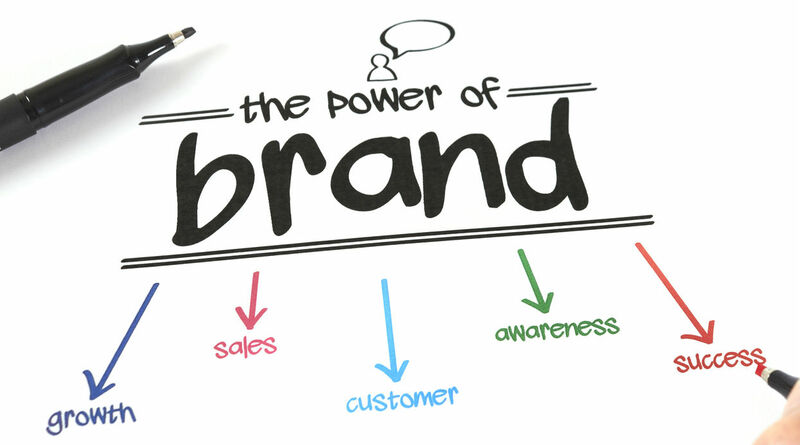 And therefore other aspects of branding such as aligning patient’s experience with your brand promise, a responsive website which is informative and easy to navigate, testimonials from patients, constant communication with your erstwhile patients – all of which will contribute towards building your brand equity, have to be followed in close conjunction with your sundry marketing efforts. Brand association plays a great role in patients’ choice of hospital for IPD services. What exactly is brand association? Brand association is anything that comes immediately to a customer’s mind when the brand is spoken of. It is something deep seated in customer’s mind about the brand. Now, branding helps create a positive brand association. It could be that the first facet of your hospital, which comes to a patient’s mind, is the state-of-the-art technology that you have in healthcare. That is the brand association that the patient has for your hospital. When you brand your hospital, you understandably promote the best that your hospital is all about. When this ‘best’ is beamed consistently and genuinely to your patients, the brand association is going to be positive. The attributes of brand which emerge in patients’ minds – implicit and explicit meanings which a consumer relates/associates with – when your hospital is talked about, will play a huge role in making a positive dent in their deciding to go for your hospital for their IPD needs. Brand association is the degree to which your hospital is recognized within its product/service class/category. When patients search and deal with a slew of information, brand association will play a role in their decision making. The knowledge of the brand exists in the patients’ memory and when they recall the brand the complex pieces of information come together to form a complex associative network of the brand. In other words, it deals with how patients develop the sort of mental image a brand stimulates - whether the brand is seen as positive or negative. Positive brand image is created through building a strong, favourable and unique association to the brand in memory. It is a common saying that what is visible is what gets noticed. And what gets noticed is what sells. Your patients’ brand awareness of your hospital would imply how strong their memory is for your brand. When a patient is choosing a hospital for IPD, he would naturally be drawn to a hospital that he knows, is aware of. And branding will help you foster people’s ability to recall or recognise the hospital name in sufficient detail to make them predisposed towards choosing it for their IPD needs. Awareness does not qualify as mere knowledge, it is mostly correlated with aspects such as trust, reliability, high quality, closeness to people, accessibility and traditional styling. When you brand your hospital, you are talking about offering quality which is a cut above the rest. One of the most important drivers in patients choosing an IPD is the impression of quality, be it of hygiene, services, technology or the qualification of doctors. Branding sets you apart as a quality hospital. When patients perceive you as a quality hospital, they will be more inclined towards choosing you for their IPD needs. In fact if the perceived quality, the customer’s perception of the overall quality of your hospital, is high, patients would be willing to pay a higher price for your services. This is because they are equating high quality to high prices. A study on patient perception and choice of hospital found that perceptions of reputation and medical services had a strong impact on the final decision. The same study revealed that in the case of tertiary hospitals (e.g. oncology, organ transplant, neurosurgery, etc.) in India, the referral decision is often made by the family in collaboration with the specialist doctor and takes into account basic amenities, hospital reputation, and budget. The concept of brand loyalty cannot be emphasized enough in the context of healthcare services. Branding a hospital gives it certain attributes of reliability. As part of your branding, you will be doing some PR exercise, reaching out to patients and referral doctors with relevant newsletters, preempt your patients’ arrival and a lot more. When you do all of this, your patients feel connected to you as a healthcare provider and trust you. So when your medical advice to them in the OPD is to get admitted to a hospital for their treatment, they have already decided that your hospital is going to be the one which can look after them best. Under normal circumstances, brand loyalty will ensure a patient’s unconditional commitment and a strong relationship with the brand. Interestingly patient satisfaction is what drives patient loyalty. Here too branding plays a role. When you brand yourself, you communicate a brand promise. And it is a must that you fulfill that promise when the patient comes to you. The patient’s experience is what will determine his satisfaction, and then of course his loyalty. To put the entire analysis in a nutshell, branding is crucial because it increases patients’ awareness about the type and characteristics of health care provided. This in turn influences their choice of hospital for in patient care. However, it is important to remember that brands are living business assets that need constant management so that they are alive across all the touchpoints. Brands are a sum total of different perceptions of its various touchpoints. The image of the hospital will be built on these perceived characteristics, reputation, and opinions, each of which will influence your OPD patients to avail your IPD services when needed.